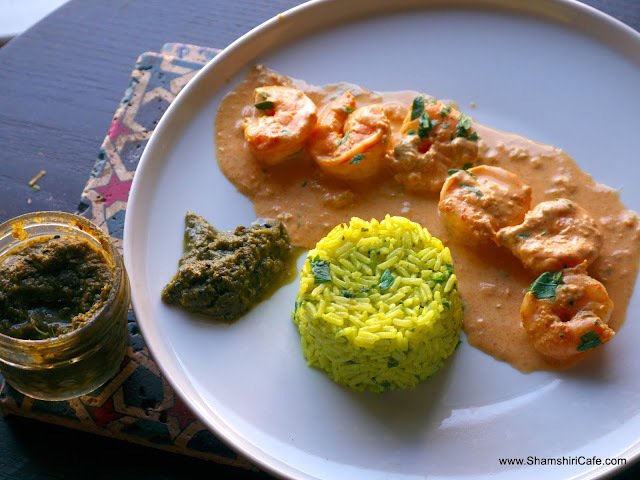 Here is a quick shrimp dish I usually make with the cream, left over from my blogging efforts. As seen above, it can be served with rice and Persian celery pickle; with pasta, or, with a hearty piece of toasted bread. To a shallow saucepan add all the ingredients (except for the shrimp). Simmer the cream on medium low heat and very gently. The cream should not boil and only should simmer. 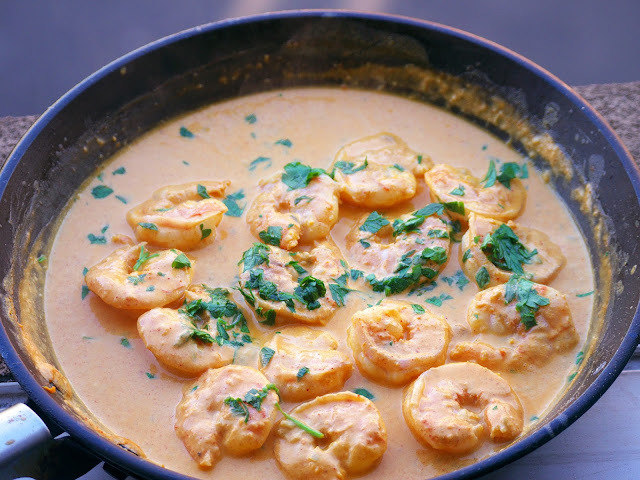 When the cream is thick, poach the shrimps for a few minutes or until the meat is very tender. Cook beside that point, and your shrimp will be rubbery! Finish with chopped cilantro and serve.